Un’interessantissima riflessione sulla letteratura (soprattutto quella di genere fantascientifico e horror) come espressione delle rivoluzioni culturali, delle ansie e delle contraddizioni dei due secoli scorsi. 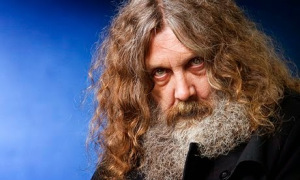 Chi non conosce Alan Moore? Grazie a opere come V per Vendetta, Watchmen e La Lega degli Straordinari Gentlemen, lo scrittore inglese è diventato uno dei più grandi autori contemperai, rivoluzionando il mondo dei fumetti. Nell’intervista che vi segnaliamo oggi, reperibile sul canale YouTube di Gianluca Freda, l’autore John Higgs pone una serie di interessantissime domande proprio ad Alan Moore, parlando del ruolo che ricopre la cultura nella società contemporanea. L’intervista è sottotitolata in italiano. Buona visione! This post might have quite a cryptic and unsettling subheading: “Human nature, the psychopathology of power and the inherent contradictions of modern democratic systems”. More specifically, it addresses the matter from an unfamiliar point of view: that of a writer and political activist from a (relatively) young East Asian republic. Local Governor: “I haven’t had the opportunity to tell you about this yet. Choi Myeong Hee: “Those people refer to themselves as farmers. CMH: “They think they are cultivating this country. They plant barley and corn, and they also pick out the weeds that disrupt their ‘farming’. They should feel apologetic to real farmers. These people, the ‘farmers’, this is what they do. They consider our country as their vegetable garden. Using their money, they manipulate politics as they please. “You don’t know how scary those people are. Those people… can do anything to protect their money, positions and possessions. Elder: “The work we do saves everybody. Healer: “You keep saying ‘we’, ‘we’, and it’s grating on my nerves. Elder: “There is “us”, who take care of other people. And there is “them”, who are taken care of. Believing “to be right in doing all this, no matter what” is completely normal (and necessary), for them: protecting their assets and positions in every possible way becomes as instinctive and natural as breathing. After reaching the top, they live in their own world, with its own rules and codes, and they believe that even their sociopathic behaviour has a “structural”, stabilizing, beneficial role for the community at large: an anthropologist would define their worldview as a simplified, self-legitimizing concept of “structural functionalism”. The resiliency of this élite against external pressures is due to the compactness of the interests that keep it together, compared to different, not-so-sticky “glues”: shared Causes, ideals, ideologies. Kim Moon Shik: “You are still young. Our ‘we’ is… connected by lifelines. So, no matter how much one gets betrayed or humiliated… he’ll still stick around. Our “we” is very solid. What keeps your ‘we’ sticking around? According to Kim Moon Shik, protesters and “free-riders” are “weeds that must be eradicated”: he considers Jong Hoo and Young Shin to be dysfunctional subjects, recalcitrant individuals unfit to be part of society. As rebellious, unruly, undefinable and unrestrainable as he is, the “Healer” is the epitome of “abnormality” and free-riding: that’s why he must be either brought under control or killed. The “night errand boy” doesn’t live in the ordinary world: he lives according to the rules of the animal kingdom, he eludes all traps by following unpredictable routes, and he doesn’t stick to any moral code except a general (possibly negotiable) “no-killing” principle. Healer: “Running and hiding is not my style. When wild beasts are pitched against each other, there isn’t anyone that isn’t scared. Everyone is. However, it’s the one that shows fear first that loses its life. Therefore, if someone is out to catch me… before my weaknesses are revealed, I’ll attack first. Healer: “I’m really confused between what’s real and what’s fake. My work normally requires me to become fake. That way I can do my work. My face is hidden and my identity is disguised. When I go out in the world and meet the people there, I’m always phony. But when I meet her, I should meet her as the real me, right? Prince Duk Heung (sitting on the throne and smiling): “How do I look from there? Look carefully and imagine that I am wearing the king’s garments. ES: “That’s why the candidates hold campaigns before the election. ‘I am this kind of person, and If I am selected for president, I will put this policy into effect.’ In this way, they advertise themselves and their political platform. Why are you laughing? Are you the type of person who laughs when he’s drunk? Participative democracy can actually exist, but there are four preconditions, and it’s quite rare for them to occur at the same time and place: 1) access to unbiased information by the population; 2) actual interest in that information, and incentives to mobilize; 3) number of people willing to mobilize; 4) personal qualities of a few single individuals capable of assuming the role of catalysts and leaders of the mobilization. KMH: “Back in the day, if they didn’t like certain news, they prevented them from being published. That’s why back then, you just had to put everything on the line. Then you could publish the article. But that’s not how things go now. These days, it just gets buried under trash news. “What are you trying to get at, then? Kim Moon Shik’s character in Healer often mentions the inability to coordinate and join forces as a fatal weakness. According to him (and the Elder), citizens/netizens are powerless, unless they manage to act as one: that’s the reason why they are doomed to fail, to lose against the “farmers”. Master Yi Che: I have had you investigated. You could have become the new king’s right hand and earned great wealth for yourself. But you have little in terms of material wealth, much less any gold. General Choi Young: Are those the types of questions you wanted to ask of me? YC: Why have you chosen the present king? YC: Over the past 7 years you have shown no desire for riches, in elevating your rank, you have shown no desire for anything in this world… So why have you suddenly chosen the current king? CY: Are you asking me to evaluate the king? YC: We have already given up all hopes for the Goryeo dynasty. We simply endure each and every day of our lives. So explain to us, why have you chosen the present king? YC: In your opinion, is the new king particularly wise? CY: He seems to be intelligent. YC: Is he merciful towards his people? CY: I have never seen him deal with the people with my own eyes, so I do not know. YC: Would he put his life on the line for Goryeo’s independence? CY: I do not know, he has never been tested. YC: Then I will ask another question. If we devote the rest of our lives to the new king, what will he be able to give us in return? CY: May I first ask you a question? CY: What kind of king is it that you all want? Someone who is as intelligent as Zhuge Liang from the moment he was born? One who is as merciful to the people as Buddha? One who is able to give those who follow him riches, honour, and a long life as well? Is that the type of king you are waiting for? Is that it? Is that why you are testing the waters right now? YC: I will ask again. Choi Young, why this king? CY: He is the first king I have personally chosen to serve. YC: What made you choose him? CY: There are times he is weak, times he shows fear, times he flounders when making a decision, and he frequently regrets the decisions he makes… But he also knows shame. CY: That is why I came to my decision. Before that shame makes him dull, I must protect him.